St Barbara is focused on strong margin gold operations. The Gwalia Underground mine at Leonora Operations, acquired by St Barbara in 2005, is the Company’s cornerstone asset, with 2.2 million ounces of gold in reserves on 30 June 2018. 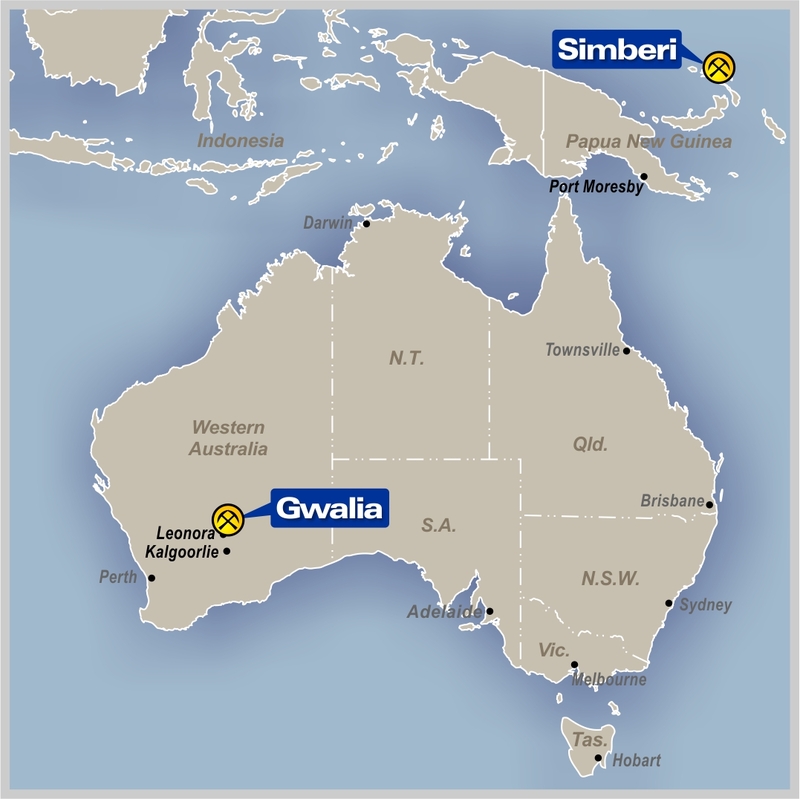 The Simberi gold mine is in the New Ireland province in of Papua New Guinea, and started production in February 2008. St Barbara acquired the Simberi gold mine in 2012. During 2013 and 2014 the plant was expanded to include a 3.5 Mtpa SAG mill designed to lift gold output towards a run rate of 100,000 ounces per annum. There is significant further exploration potential around the mine and on nearby Tabar and Tatau Islands. Infrastructure at Simberi includes treatment plants, airstrips, power generation, accommodation, water and social infrastructure. The Company encourages local employment, but also offers fly-in/fly-out arrangements.